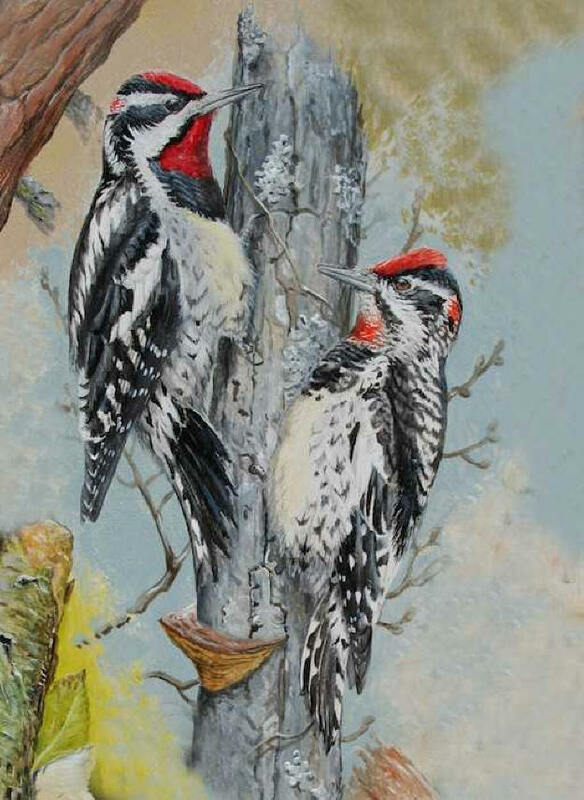 This is the second image (modified from original to remove overlapping parts of other species), from a painting I did showing all the species of sapsucker, a genus of bird restricted to North America, including, in winter, parts of Mexico, Central America and the West Indies. The Red-naped Sapsucker is very similar to the Yellow-bellied Sapsucker. “Nape” refers to the back of the neck, and the bird is called “Red-naped” because there is a red patch at the back of the head, separate from the red patch on top of the head (or there usually is…these birds can show quite a bit of variation). It is really located at the very top of what I would call the “nape”. The Red-naped Sapsucker is found in western North America, from parts of British Columbia and Alberta south into the southwestern U.S., largely east of the Rocky Mountains, west of the prairies. It winters further south, some birds reaching southern Mexico. 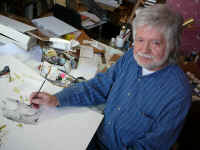 The painting was done approximately life-size, in acrylics on a special compressed hardboard.